This coming Tuesday marks the 46th anniversary of the infamous decision by the U.S. Supreme court in Roe vs Wade. In a travesty of jurisprudence, seven lawyers stripped the right to life for unborn children. A mother’s womb should be the safest place possible for a baby, but instead it has become the location of horrible deaths for more than 59 million children in the United States since 1973. The decision and its ramifications changed the moral climate of our society sending it into the moral abyss in which we now exist. Those who do not value the most fundamental human right, the right to life, will not value any other rights such as freedom of religion and speech unless it is restricted to their own benefit. It is now routine for doctors to recommend abortion of a child that might possibly be sickly, deformed or have a genetic abnormality. This casual attitude toward killing the unborn child quickly translated into infanticide in withholding care of infants born after a failed abortion or with severe birth defects until they died from neglect. The federal government had to pass “born alive” laws to protect such babies. Our governor here in New York is pushing a bill, the Reproductive Health Act (RHA), that would strip that protection and make it legal in NY for viable babies born alive following late-term abortions to be denied medical care. Governor Cuomo has not met an abortion he does not like, for RHA will also enshrine abortion as a fundamental right in NY, allow third-trimester abortions for basically any reason under its code word of “health,” remove the crime of killing an unborn child due to injury of the mother even if the intention is to kill the child, and allow for abortions to be done by medical personnel other than physicians. So much for wanting to protect women from back-alley butchers. This bill puts the cleavers in the hands of more people and puts them on main street. This bill is so bad he is having to threaten normally pro-abortion Democrat Senators to get it to pass. The evil that has come with the causal acceptance of abortion within our society has devalued life at all levels. Advocates of euthanasia, which euphemistically refer to their efforts as “Death with Dignity,” have gained enough ground that six states have legalized it, and it was forced on Montana by a rogue judge, and 25 states are considering it. Doctors who take part in this violate their Hippocratic oath, or they are among the increasing number that never take that oath. Perhaps you have noticed the increasing percentage of medical personnel that treat you as an income stream instead of as a patient in need of their help? Again, devaluing human life in the womb brings about a general devaluing of human life. In view of our rapid moral decline, the question arises, “How far behind is genocide of those not in political favor?” That may sound outlandish, but other nations have gone down that path and some using these same steps. In addition, the policies of the United States Government in the past did result in genocide of some native tribes in order to take over the lands they lived on, and during the “Civil War” some in the North advocated and practiced total war on the people of the Southern states. The property of civilians was pillaged or destroyed with no concern that it would cause mass starvation of the population – white, black and native American alike. Some had few qualms about killing Southerners including the freed slaves. How much worse is possible in a society in which so many elected federal and state leaders already place such low value on human life unless they can find a political value to it for themselves. Those guided by a Christian world-view properly understand that these things are appalling evils because they are contrary to the declarations of God, but that may not be true of those whose world-view is largely shaped by other religions, philosophies or affected by post-modern thought which allows for contradictory belief systems to be held at the same time. There are several “Christian” denominations that maintain advocacy groups that are pro-abortion and advocate some aspects of euthanasia. They are syncretic in wanting to claim Christ, but they follow the reasoning of the world. Many logical reasons have been proposed t0 give value to human life and fight against abortion, infanticide, and euthanasia. However, the arguments fail or are ignored because they are based in human reasoning and do not give intrinsic and transcendent value to human life. Here are some examples. 1) Human life is valuable because it is human. A good argument for those who agree humans have some superior innate value, but worthless against those who believe man is just a higher form of animal life with no greater value than any other form of animal life – a monkey, a dog, an eagle, a rat, or in NY, a chick (Bill A.58-Rosenthal proposes banning schools from incubating and hatching baby chicks because they may not be cared for correctly). Evolutionary philosophy now dominates government, public education and most of the media, so those who believe man is just an animal is common. 2) Human life is valuable because mankind possesses certain qualities that are superior to all other animals. A good argument for those who have those qualities, but what about those people in which those qualities are impaired or destroyed? What quality of life is necessary to demonstrate value and who gets to decide that? Abortion, infanticide and euthanasia decisions are usually related to quality of life and determining whether death is better than life with a physical or mental handicap, suffering pain, being unwanted, or even just hindering the desires of those who would have to care for such a person. 3) Human life is valuable because of its economic consequences. It has been correctly pointed out that there is a negative economic impact when there are 59+ million fewer customers. However, if value is reduced to simple economic equations, then strong arguments can be made that national financial health will improve by eliminating those who are nonproductive. It is cheaper to pay for an abortion than to pay all the welfare costs in raising a child to adulthood. It is less expensive to kill the handicapped than pay for the medical and rehabilitation costs. Active euthanasia of the old or sick will reduce costs of care and give quicker access to the inheritance for the survivors and the government. Those are harsh ideas, but they are advocated by those who value finances over life, and they are part of government medical systems because care is rationed to whom and what is favored within the system. If humans do not have intrinsic value in being an animal, having qualities superior to other animals or economic factors, then why shouldn’t abortion, infanticide, euthanasia, and yes, even genocide be practiced? What intrinsic value does human life have that it transcends these things so that murder is wrong? The answer is not found in man himself, but in the God who created him. Turn to Genesis. God created the beasts of the earth, the creeping things and man on the sixth day. However, God makes man different from the animals. In Genesis 1:26-27 God said, “Let Us make man in Our image, according to Our likeness; and let them rule over the fish of the sea and over the birds of the sky and over the cattle and over all the earth, and over every creeping thing that creeps on the earth.” 27 And God created man in His own image, in the image of God He created him; male and female He created them. Genesis 2:7 adds, Then the Lord God formed man of dust from the ground, and breathed into his nostrils the breath of life; and man became a living being. Later that same day God took a rib from Adam and fashioned Eve from it. Like the animals, man was made from the dust of the earth (except for Eve who was fashioned from Adam’s rib – she is refined dirt). This common origin in God’s creation gives man many common characteristics with animals in our physical body makeup. However, regardless of physical similarities, unlike the animals, man had the breath of life breathed into him by God Himself and became a living soul. This is the source of man’s eternal nature. God also charges man to have dominion over all the animals, which gives man a more important position. These things do give humans superior value to animals, but that is still not necessarily a greater intrinsic value. There is something that does. Note and underline that last phrase. Determent, retribution and human justice may all be logical reasons for capital punishment, but the actual reason for it is the fact that humans are made in the image of God, therefore murder of a human is actually a rebellious act against God. The main reason for capital punishment is God’s holiness. Right to life advocates are accused of being inconsistent on this point by people who argue that if a person truly valued human life then they would be against capital punishment. However, the same reason that makes man’s life valuable to save from abortion, infanticide, euthanasia and genocide is the same reason that demands capital punishment for murder. Man is made in the image of God. The inconsistency is with the abortion and euthanasia advocates who stand against capital punishment. They value the life of a murderer in defiance of God’s command, but they do not value the life of an unborn baby or those whose quality of life is below their standard. Those who do not value human life are in rebellion against God rejecting what the Lord says about human life. Those who claim to be Christians and yet advocate these evils do so in contradiction to what it means to be a Christian, one who is a disciple, a follower Christ. Whether they admit it or not, they blaspheme and offend God by their disobedience to His commands clearly given in His revelation of Himself and His will in the Bible. They want to play God in deciding who lives and who dies based on their own reasoning instead of what the Lord has declared. Abortion, euthanasia and genocide are just different names given to the willful taking of a human life, which by definition is murder. Each are blasphemy against God because they willfully destroy a creature made in God’s image. These are very serious sins that have brought God’s judgment upon individuals and societies in the past. One of the reasons God had the Canaanites annihilated was their practice of infanticide as part of their worship of Molech (Lev. 20:2; Deut. 12:31; 18:10-13). Refraining from executing those who are convicted of premeditated murder is injustice and was one of the reasons for the oppression and eventual deportation of Israel & Judah (Deuteronomy 28:15f; cf Isaiah 5; Ezek. 22, etc.). It is obvious to me that God has already removed His hand of blessing upon this nation and His judgments are falling on us. Romans 1:18-32 makes it clear that a method of God’s judgment is moving His hand away and letting people get what they desire, and that explains the low quality and immoral political leaders elected to office. While the blessings for obedience and curses for disobedience from God listed in Deuteronomy 27 & 28 are specific to the nation of Israel, the general principle applies to all nations. As stated in Proverbs 14:34, “Righteousness exalts a nation, But sin is a reproach to any people” (NKJV). Man wants to believe he is autonomous, but he is not. Everyone is absolutely dependent on God, for it is in Him that we live and move and have our being (Acts 17:28). It is God’s hand that holds all things together (Colossians 1:17). Man desires to be a free moral agent determining right and wrong for himself, but he is not. Every human is a created being that will be held accountable by the Creator for how he or she lived (Revelation 20:12). Man wants to decide what is and what is not important by his own wisdom, but man cannot for two reasons. First, no human has enough wisdom to accomplish that task for even the wisest man is a foolish imbecile before God (1 Corinthians 1:18-31). Second, the value of something is determined by its owner, not someone else. Man belongs to the God who Created him, not himself, and God places value on man because He made man in His own image. That is why all humans, regardless of their intelligence, physical abilities or social standing have intrinsic value. This includes those still in the womb. There is another reason that man has intrinsic value, and it is also related to God. All humans break God’s commandments and their personal sin places them under God’s just condemnation. Man has no means within himself by which he can become acceptable to his Creator. All of man’s attempts at righteous deeds are filthy rags before our Holy God. (Isaiah 64:6). The Lord would be perfectly just and righteous to cast every man, woman, boy and girl into everlasting hell right now. Yet, despite man’s willful disobedience, God loves mankind and provided the way of salvation from sin and its consequences through the person and work of Jesus Christ, who is God in human flesh. Jesus paid the price necessary to redeem man from sin by suffering and dying on the cross in our place. He did this to redeem you so that you could be forgiven and have eternal life. The value of man is the value of the price God paid to redeem him from his sin. Tell me, what is the value of Jesus’ life? It is important to emphasize this truth. God values you so much that Jesus, the second person of the triune Godhead, set aside the glories of heaven that belong to Him and became a man and humbled Himself to the point of death on the cross (Philippians 2:5-8). God did not do this because of anything in you, but because of His own character of love (Romans 5:8). The value of human life is what God declares it to be, which in this case is the value of the life of Jesus Christ, the Son of God, and that is infinite. These truths also mean that abortion, infanticide, euthanasia and failure to carry out capital punishment on murderers are all fundamentally wrong because they fail to recognize and respect the proper value God has given to every human. But there are also more specific commands and Biblical principles that prove each of these are evil. I have already commented about capital punishment, so lets quickly look at abortion, infanticide and euthanasia. Many people are confused about abortion because they do not know what God has said and are often swayed by political and philosophical arguments designed to find sympathy in man’s sinful nature. Your quest must be to know what God says about it, for until you know what He says you are only an ignorant person adding your foolish opinions to the discussion. Once you know what God has said, then you can respond appropriately and speak authoritatively to the issue. But what has God said about abortion? Let’s begin with examining the issue of the origin of human life. First, all life has its origin in God. He created Adam from the dust of the ground, and he fashioned Eve from one of Adam’s ribs and both were made in the image of God (Genesis 1:27; 2:22). Jesus states the same thing in Matthew 19:4 as does Paul in 1 Corinthians 11:7-9. To deny that God created man and woman and in His image is to deny the writings of Moses, the Apostle Paul, and the words of Jesus Christ. Also relevant to this issue is that God controls the creation of each individual human life. The life in the womb is not just the product of an act of two humans, but it also involves the action of God. Human life comes from the hand of God both generally and specifically. Let me give you just a few quick examples. 3) The testimony of the Psalms. God opens or closes the womb and He forms the individual in the womb. A child in the womb is not just the “product of conception” as euphemistically referred to during abortions. He or she is a unique individual formed by God. The argument that the unborn child is part of the woman’s body is totally false both in terms of its spiritual identity before God and its physical/genetic makeup. Physically, the child is separate from but totally dependent upon the mother. Genetically the child is a mixture of her chromosomes and that of the father and thereby a unique individual. A woman does not have a right to terminate the life growing within her, instead she has a responsibility to protect and nurture the baby within her. Let me add that the claim that a woman has a right over her own body is also erroneous. If she is married, she belongs to her husband, just as he belongs to her (1 Corinthians 7:4). But married or not and regardless of her own beliefs, her body belongs to the Lord who created her (1 Corinthians 6:13). Humans are not as autonomous as they would like to think. A woman has a right to choose many things in life, but whether a baby in her womb lives or is murdered is not one of them. And unless the abortion was physically forced upon her, then she along with all those who advised her and performed the abortion are accountable to God for the murder. That includes every law maker that made it legal. God’s mercy and grace is such that even this sin can be forgiven in Christ. What about the argument that the unborn child is not human until it is outside the womb and breathing on its own? When does the unborn child become a human and gain intrinsic value? The Scriptures we have already examined have hinted at the Biblical concept that a child is fully human at conception, but lets look further. “Now at this time Mary arose and went with haste to the hill country, to a city of Judah, and entered the house of Zacharias and greeted Elizabeth. And it came about that when Elizabeth heard Mary’s greeting, the baby leaped in her womb; and Elizabeth was filled with the Holy Spirit. And she cried out with a loud voice, and said, ‘Blessed among women are you, and blessed is the fruit of your womb! And how has it happened to me, that the mother of my Lord should come to me? For behold, when the sound of your greeting reached my ears, the baby leaped in my womb for joy. And blessed is she who believed that there would be a fulfillment of what had been spoken to her by the Lord. The unborn infant John the Baptist responded to the presence of the unborn infant Jesus because both were already human. Before he was born, John already possessed a soul that recognized the Messiah. The question of when a human becomes a true human in terms of “potentiality” or its ability to survive outside the womb is a non issue because the word of God is clear that at conception a human life is created and that he or she has a soul. To end that life by abortion is nothing less than the willful taking of a human life which is murder. That is the choice that so called “pro-choice” people talk about. They want freedom to murder. They want freedom to play God. Everything the Bible says about murder also applies to infanticide and euthanasia which are usually done because it makes life easier for the survivors. Those that advocate so called “mercy killing” for those who are severely handicapped, or are old, or are sick are wrong for three reasons. First, in Exodus 4:11 God makes it clear to Moses that He makes the dumb, the deaf, the seeing, and the blind. Moses could not speak eloquently, but God would use the handicapped to glorify Himself. Second, there is no right to health. That comes as a mercy from God. In John 9, Jesus pointed out a man who was born blind so that the works of God might be displayed in him. He then healed the man. It is not up to the individual or others to decide the value of life based on some judgment of its quality. All people are created for God’s glory. It is up to God to determine how He will use the individual. Third, it is not up to man to decide when he will die. The timing of a person’s death is also up to God (Job 14:5; 30:23; Ps 89:46-48; Heb. 9:27). For someone else to play God and purposely take a life is murder. For a person to play God and purposely take their own life is suicide – self-murder. Suicide is always presented as a negative in Scripture. Like Paul in Philippians 1, the Christian may long for Heaven which is very much better than life here, but we remain in the flesh for the sake of others and let God determine when we go home. Infanticide, euthanasia and suicide are all acts of selfishness. What is our responsibility toward these issues? First, respond with the message of hope, the gospel. The people involved in abortion, infanticide and the euthanasia movement are dupes of the devil, blinded by the god of this age. Even the most evil abortionist in really nothing more than a pawn of Satan. Women more often feel the guilt of the sin, but the men involved are just as responsible and guilty before God. We need to let them know that God can and will forgive them if they will repent and believe. Jesus came to die on the Cross to pay the penalty for our sins – all of them. Abortion can be forgiven. Our first response needs to be the offer of the hope of the gospel to guilt ridden people. Second, we need to be informed about the issues involved, what occurs in abortions, the laws that pertain to these issues and the activities of organizations that are striving to stem the tide of blood. Third, we need to pray. I put this after being informed because we need to be informed in order to pray intelligently and specifically. Prayer needs to be more than just saying, “God, do something about all this killing.” We need informed, fervent prayer such as: “Lord God, abortion, infanticide, euthanasia and suicide are all abominations before you and an attack against you. Show me how I can help prevent them. Give me opportunity to share the hope of the gospel to those who are hurting because of these great sins. Give me opportunity to share your truths with those who may be considering them. Lord, direct our leaders in dealing with these issues. May your Holy Spirit bring conviction upon their souls and change their hearts and minds and conform them to your will. As you see fit, remove those who oppose your law, etc.”. Fourth, Financial support. Again, there are many organizations fighting these evils. Each one has a different mission. Some are primarily educational, some political, some activist, some provide personal care. Crises pregnancy centers counsel those considering abortion. Homes for unwed mothers help those in need get through their pregnancy. Adoption agencies help women in need find homes that will be a blessing for all concerned. All of them can use financial support. Check some of them out to see if the Lord would want you involved on this level. Fifth, get personally involved. Maybe you can be involved the political end by writing letter, calling your representatives or even running for office yourself. Perhaps you can become a pro-life speaker going to schools, clubs, and other organizations to present the truth about the infant in the womb. Maybe you can take time to be involved with a local group such as Care Net Pregnancy Center or 40 Days for Life. Perhaps you could even provide a home for a pregnant woman who is in difficult circumstances and share the love of Christ with her. Even if you cannot provide a home, you can provide friendship and emotional support. There is also foster care and adoption of children. I would personally encourage you to enroll on the New York State Organ and Tissue Donor Registry which allows you to donate body parts upon your death. You will you no longer need them because you will be with the Lord, but those body parts might extend the life of another Christian in serving the Lord, or a non-Christian that they may yet hear the gospel and be saved. Pray and let God show you how and at what level He would want you involved, and then do it. Superior quality arguments do not ______________ the sickly, old or impaired. Parents, you are responsible to apply God’s Word to your children’s lives. Here is some help. Young Children – draw a picture about something you hear during the sermon. Explain your picture(s) to your parents at lunch. Older Children – Do one or more of the following: 1) Write down all the verses mentioned in the sermon and look them up later. 2) Count how many times the word “life” is said. Talk with your parents about the value of human life and what you can do to help protect it. Questions to consider in discussing the sermon with others. How has the Roe v Wade U.S. Supreme Court decision been detrimental to the United States? Why are each of the following ultimately poor reasons to value human life: Human existence, Human ability, Economics? What two factors separate mankind from all animals? Why are these important? What is the biblical basis for capital punishment? How has God responded in the past to those individuals / nations that do not value human life? Why can’t man determine the value of life for himself? How does God’s love proven in Jesus Christ establish worth for human life? How have politics confused the question of abortion? What is God’s involvement in the creation of each human life? Give Biblical examples – both generally and specifically? Does a woman have a right over her body? Why or why not? Is a baby part of that body? Why or why not? 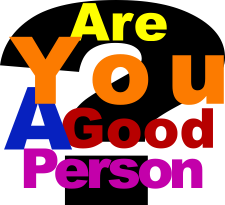 When does a human life receive personhood / a soul? Explain each of the following and the primary motivations for abortion, infanticide, euthanasia? Give Biblical reasons that handicaps, even serious ones, are not justification for abortion, infanticide or euthanasia. Why is “mercy killing” wrong? What is the Christian’s responsibility toward all these issues? What is your involvement with these issues? Should you do more? If so, what?